Our Quality Program supports our mission to improve our members' health through innovative services and community partnerships. Every year, our Quality Program is evaluated to make sure it is effective and meaningful, and that is meets regulatory standards and guidelines. Results from our annual evaluation help us develop, prioritize and track our progress toward our quality plan goals. Thanks to strong collaboration with our providers and community partners, UCare delivers measurably high-quality care to every one of our members. Quality monitoring and program initiatives continue to demonstrate positive outcomes. For the third year in a row, UCare Medicare Plans achieved an Overall Rating of 4.5 out of 5 Stars, which equates to the "Very Good" category of the Medicare Plan Performance Ratings. UCare Medicare Plans ranks 26th out of over 400 Medicare Advantage plans in the nation! UCare's Minnesota Senior Health Options (MSHO) maintained an Overall Rating of 4 out of 5 stars in 2018. Health plans receiving 4 or more Stars earn a quality bonus payment to be reinvested in product benefits and premium reduction. 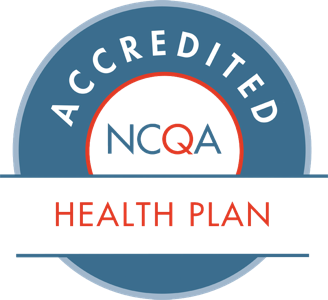 In 2018, UCare's Medicare Advantage plans and Individual & Family Plans received highly rated accreditation from the National Committee for Quality Assurance (NCQA). 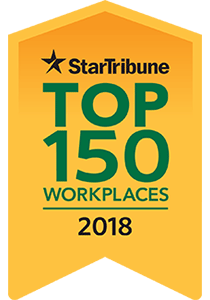 UCare was awarded an "Excellent" rating for its submission of our Minnesota UCare Medicare Plans and its Individual & Family Plans available through MNsure also received the highest possible status of "Accredited" Marketplace plans. The Quality Management Department annually reviews the quality work from the previous year, analyzes the progress toward our goals, and identifies new focus areas and goals for the upcoming year. The Centers for Medicare & Medicaid Services (CMS) and Department of Human Services (DHS) gauges member satisfaction of Medicare Advantage and Medicaid plans through an annual survey called the CAHPS survey (Consumer Assessment of Healthcare Providers and Systems). CMS also administers a member experience survey to market place health plans called the Qualified Health Plan Survey (QHP). The CAHPS/QHP survey helps health plans identify opportunities to improve quality and services, and helps CMS and DHS monitor the quality and performance of these plans. UCare scored above the national average on several 2018 measures and have identified focus areas that are highlighted below. Increased focus on communication and customer service delivery excellence to drive positive interactions with our members and drive member trust. Continue to work with CS representatives on motivational interviewing techniques by teaching them how to roll with resistance and remove themselves from the outcome, while still being able to connect with the individuals to understand their wants and needs. Continue member outreach strategies including, but not limited to: IVR calls, telephonic outreach after interim surveys, member mailings (e.g. survey and formulary changes), etc. UCare will continue to partner with culturally competent community service providers to improve member health, healthcare and health insurance literacy. Continued work with analyzing the formularies and prescription drugs applicable to these members. Review feedback from the interim CAHPS surveys and appeals and grievance data to better understand the needs of these populations. Annually conduct network adequacy assessments to assess the availability of providers/practitioners and their ability to provide needed care and getting care quickly from a member standpoint. Identify providers to contract with UCare to improve greater access and convenience of care for members. Expand and educate members on various levels of services to provide quick and timely access to care. These services may include: virtual care, Telehealth, etc. The Quality Program is a commitment to innovation, affordability, professional competence and continuous learning, and teamwork and collaboration. Quality of care and services are optimized and continuously improved while maintaining cost-effective utilization of health care resources. This is accomplished by systematic monitoring and evaluation of provided services and by actively pursuing opportunities for improvement. The table below provides some examples of projects that both monitor services and pursue improvements. *NCQA 75th percentile for Individual and Family Plan uses the commercial rate since there is not reported rate for Marketplace plans. UCare is working together with a collaborative group of Minnesota Managed Care Organizations (MCO) and the Department of Human Services (DHS) to improve access to dental services for Special Needs BasicCare (SNBC) enrollees. Results to this survey are posted on the UCare Connect page. If you need assistance in finding or locating a dental provider, please call Delta Dental at 651-768-1415 or 1-855-648-1415 (toll free), or TTY: 711, from 7 a.m. to 7 p.m., Monday- Friday. Additional Customer Service hours and days of operation, and phone numbers are here. - Medicaid Dental Service Grid - Education to both members & providers on using UCare’s Dental connection to schedule and coordinate dental needs. Green = Significantly above the National average. Red= Significantly below the National average. ** Average response rate for all MA contracts in Minnesota. CMS evaluates qualified health plans (QHPs) offered through the Marketplaces using QHP Enrollee Survey response data. The table below shows UCare’s 2016 and 2017 QHP Enrollee Survey results. Responses to composite measures are scored on a 1-4 scale (1=never, 2=sometimes, 3=usually and 4=always). The overall ratings measures were single questions where respondents chose from 0-10, with 0 being lowest and 10 highest scores. Currently, there is no national average for the QHP Enrollee Survey due to fluctuation in the marketplace; therefore UCare has set an internal threshold until the national averages are released.